Baz takes a trip back to Kanto to see how much has changed! For decades, Pokémon fans have relentlessly asked for one thing – a core Pokémon game on a TV console. Fans envisioned a great leap forward for the franchise, in which the beloved format would move into the 3D realm. We pictured an open world in which trainers could freely explore, spotting Pokémon in the distance and tracking them down. 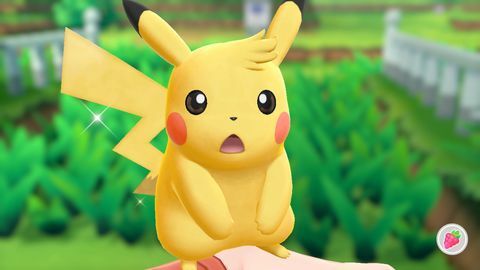 However, despite fans insistence, The Pokemon Company have stayed the course – patiently (AKA slowly) evolving the graphics and systems of the core games through the multitude of instalments and remakes over the years. Now, 22 years after the release of Pokémon Red and Blue, we finally have a core Pokémon experience on a TV console system with Pokemon: Let’s Go, Pikachu! and Eevee!. Of course, there are still several concessions– the system is a handheld hybrid, the game is a slight bastardisation of the core format, and it is far from the console leap for the franchise that many gamers have concocted in their fantasies over the years, to name a few. Yet, despite these exceptions, the move to a console does feature some great leaps forward for the franchise - especially graphically – and paints an exciting picture of what the future of Pokémon is going to look like on the Switch. An important thing to understand is that these games are remakes of Pokémon Yellow. Though there are a few new beats, the story and journey are almost identical to the first Pokémon adventures. The locations, puzzles and challenges are all frame for frame replicas – but realised in a gorgeous 3D graphical style. what was once clicking through dialogue boxes, is now an incredibly emotionally affecting cutscene. It is a magical feeling to play a remake of a game you are intimately familiar and have the experience exactly match how you remember it in your mind’s eye. It is not until you see the two side-by-side that you realise just how much of a leap has been taken, and this is particularly true of these games. Even taking FireRed and LeafGreen into consideration, this remake is a great visual jump forward. Enhancing this are the cinematographic cutscenes which have been included at key moments of the game’s story. These cinematics greatly enhance moments such as the encounter with the ghost at the top of the Pokémon Tower in Lavender Town – what was once clicking through dialogue boxes, is now an incredibly emotionally affecting cutscene. Gameplay-wise, it may not be the open world 3D adventure that many of us fantasized about, but it is as close as you can get without abandoning the isometric perspective and, as such, a core tenet of the Pokémon games. With colour and detail, the overworld of Let’s Go faithfully recreates the dimensions and obstacles of the Kanto you know and love – except, this time it is clear what everything is. What was previously a line of rocks, which as a kid I thought was a ditch, is now very clearly a small cliff face for you to hop down. This visual treatment extends to all aspects of the game – my favorite being how battles have been transformed. Every Pokémon is gorgeously rendered in 3D, with individual traits, and scaled to proportion with people, other Pokémon and the world. It is a startling sight to have your Rattata on the field, with the rock goliath that is Onix looming over it. Pokémon are no longer hidden in tall grass but are visibly roaming areas of the map. Every battle you enter throws you into a landscape matching the area you were previously seeing from above. 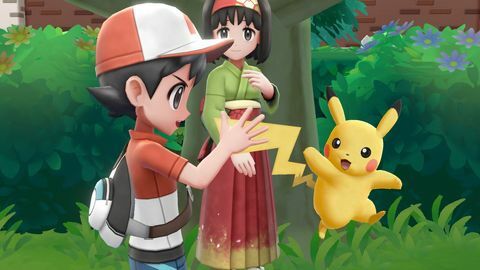 Although each new Pokémon game has improved upon this idea, it has never been executed quite as a faithfully as in these games - with details such as sign, fence and tree positions changing from trainer encounter to encounter in the same area. Though the story and map of these entries are the same, there are several key changes made to the core formula – most notably, how you capture Pokémon. Unlike previous games, Pokémon are no longer hidden in tall grass but are visibly roaming areas of the map. As a longtime Pokémon player, I wasn’t sure how I would feel about this change, but honestly, it is a massive quality of life improvement. 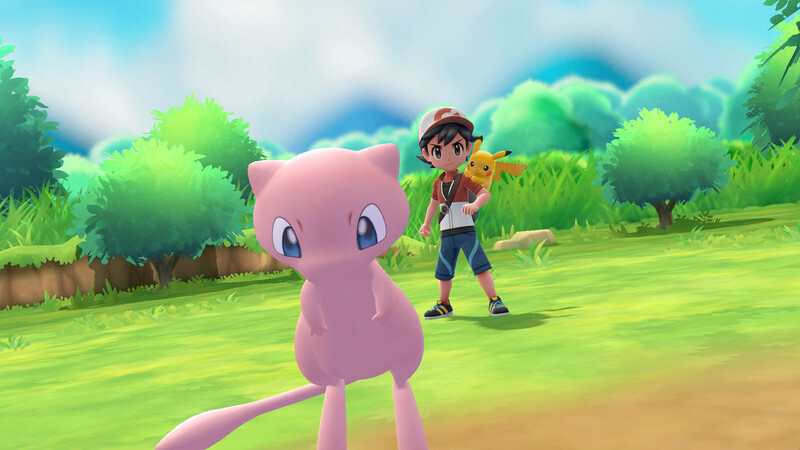 The ability to hunt for specific Pokémon, while avoiding those Pokémon you don’t want to engage with, is not only a massive time-saver but it also creates an element of liveliness and immersion I hadn’t even realised the games were lacking. It is a real pleasure to see familiar plains of tall grass alive with the activity of some of your favorite Pokémon. Similarly, as well as your Pikachu or Eevee, it is possible to have a Pokémon from your party following you around the map. It is a small but powerful way to make you feel more connected with the Pokémon you are training, and literally increases the bond between you and your Pokémon in-game. What is cool is that, like in battles, these Pokémon following you are to scale. My favorite example of this is having Snorlax out, who is so big that he carries you around on his belly. The game is full of small, loving touches like this which illustrate how this game is a love letter to the world of Pokémon. Extending this idea of companionship is the Pokeball Plus controller. Although this peripheral can be frustrating as a controller, the ability to carry one of your Pokémon in it is a charming addition. Like SoulSilver and HeartGold’s Pokéwalker, once you have a Pokémon loaded into the device, the more steps you take with it, the more items and experience you gain when returning it to the game. 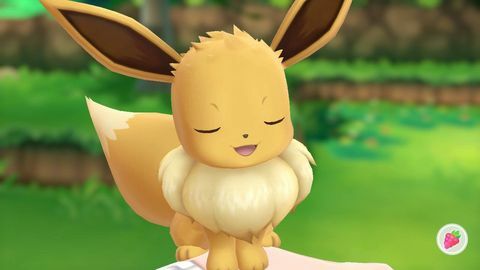 As well as a good way to continue to level your Pokémon while not playing, in a weird way it does make you feel closer to that Pokémon – as if you’ve been on an adventure together throughout the humdrums of your day. What is less faithful, and sure to be divisive, is the way you capture Pokémon. Tying into the mobile game Pokémon Go!, apart from key battles – such as the legendary birds and Snorlax – you no longer have to battle Pokémon to catch them. Rather, you simply aim a pokeball at the Pokémon and throw. Granted, this slightly dumbs down a core aspect of the Pokémon format, however, it could also be seen as a quality of life improvement. After all, wild Pokémon encounters were the grinding system of the franchise. You can still use capturing Pokémon to level up your team, but you no longer must worry about keeping your Pokémon healthy to do so – all you need to do is make sure you have a good stock of pokeballs. This is just one of the many ways that this game aims to make itself more accessible to new audiences. The mainstream success of Pokemon Go! brought in a huge number of new Pokémon fans, and this game is clearly an attempt to ingratiate new players to the core console games. As such, elements such as the capturing system, the fact the game has compulsory team experience share, and an overall lack of challenge from encounters, make the game feel like it has a mandatory easy mode. But I wasn’t bothered by this – in fact, I thoroughly enjoyed the breezy nostalgia trip of the experience. 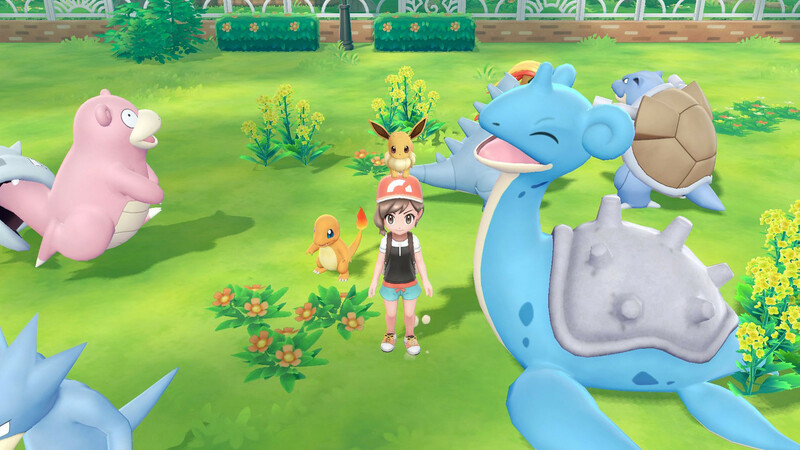 Especially when considered as a stepping stone between the 3DS and next year’s Generation 8 Pokémon game for the Switch, Pokémon: Let’s Go shines as a demonstration of where the franchise is headed on consoles. The graphical style integrates 3D models and scale into a colorful world presented from an isometric vantage. It is the perfect blending of the core Pokémon game tenets with people’s dreams of a more fully realised 3D Pokémon world. 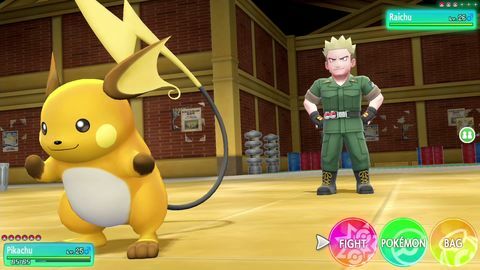 Pokémon: Let’s Go is a fun, light nostalgia trip for long time players, and an easy on-ramp into the Pokémon console games for new players. 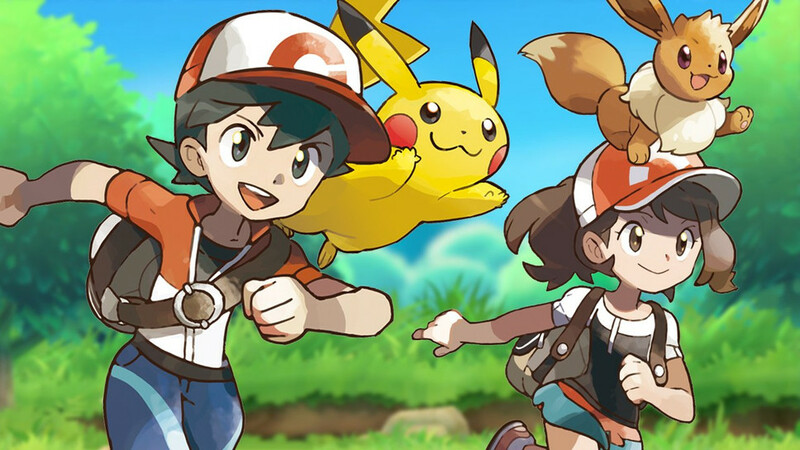 Its greatest feat is presenting a stunning graphical style and approach which wonderfully blends players desire for 3D Pokémon games with the core tenets of the franchise – setting high expectations for the Generation Eight debut on the Switch next year. Ups Graphical style. Cinematics. 3D Pokémon models. Quality of life improvements. Downs Lack of challenge. Incorporation of Pokémon Go mechanics.